How Many Sensors are in a Drone, And What do they Do? In today's fast growing drone market, sensor technologies are often the unheralded secret sauce inside. In this article, we discuss some of the types of sensor technologies that power today's drones. Accelerometers are used to determine position and orientation of the drone in flight. Another technology used in accelerometers is thermal sensing, they play a role in stabilizing on-board cameras that are vital for applications like filmmaking. 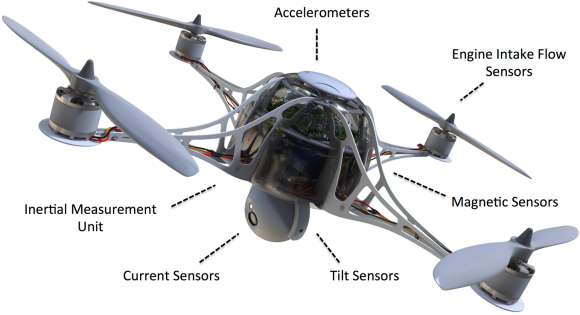 By controlling up and down movement, as well as removing jitter and vibration, Additionally, because these sensors are more immune to vibrations than other technologies, thermal MEMS sensors are perfect in drone applications to minimize problems from the increased vibration generated by the movement of rotating propulsion fans and propellers. Inertial measurement units combined with GPS are critical for maintaining direction and flight paths. As drones become more autonomous, these are essential to maintain adherence to flight rules and air traffic control. 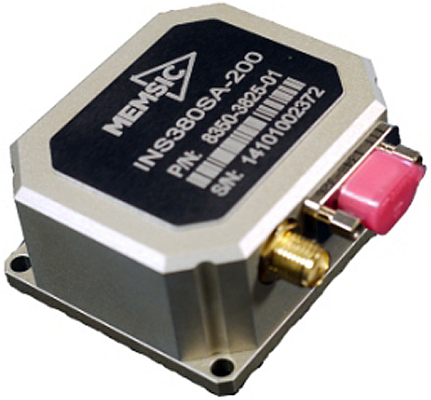 Inertial measurement units utilize multi-axis magnetometers that are in essence small, accurate compasses. These sense changes in direction and feed data into a central processor, which ultimately indicates direction, orientation, and speed. Tilt sensors, combined with gyros and accelerometers, provide input to the flight-control system in order to maintain level flight. This is extremely important for applications where stability is paramount, from surveillance to delivery of fragile goods. These types of sensors combine accelerometers with gyroscopes, allowing the detection of small variations of movement. It is the gyroscope compensation that allows these tilt sensors to be used in moving applications like motor vehicles or drones. In drones, power consumption and use are important. Current sensors can be used to monitor and optimize power drain, safe charging of internal batteries, and detect fault conditions with motors or other areas of the system. Current sensors work by measuring electrical current (bi-directional) and ideally provide electrical isolation to reduce power loss and eliminate the opportunity for electrical shock or damage to the user or systems. Sensors with fast response time and high accuracy optimize battery life and performance of drones. In drones, electronic compasses provide critical directional information to inertial navigation and guidance systems. Anisotropic magnetoresistive (AMR) permalloy technology sensors, which have superior accuracy and response time characteristics while consuming significantly less power than alternative technologies, are well-suited to drone applications. Flow sensors can be used to effectively monitor air flow into small gas engines used to power some drone varieties. These help the engine CPU determine the proper fuel-to-air ratio at a specified engine speed, which results in improved power and efficiency, and reduced emissions. 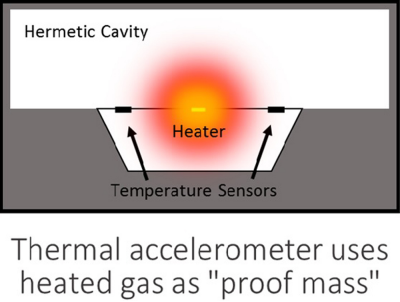 Many gas engine mass-flow sensors employ a calorimetric principal utilizing a heated element and at least one temperature sensor to quantify mass flow. 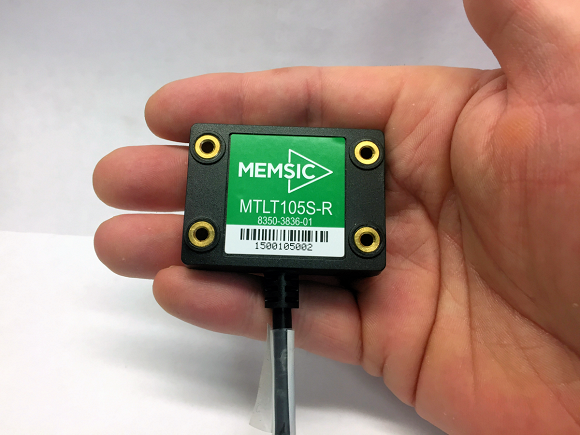 MEMS thermal mass air flow sensors also utilize the calorimetric principal, but in a micro scale, making it highly suitable for applications where reduced weight is critical.